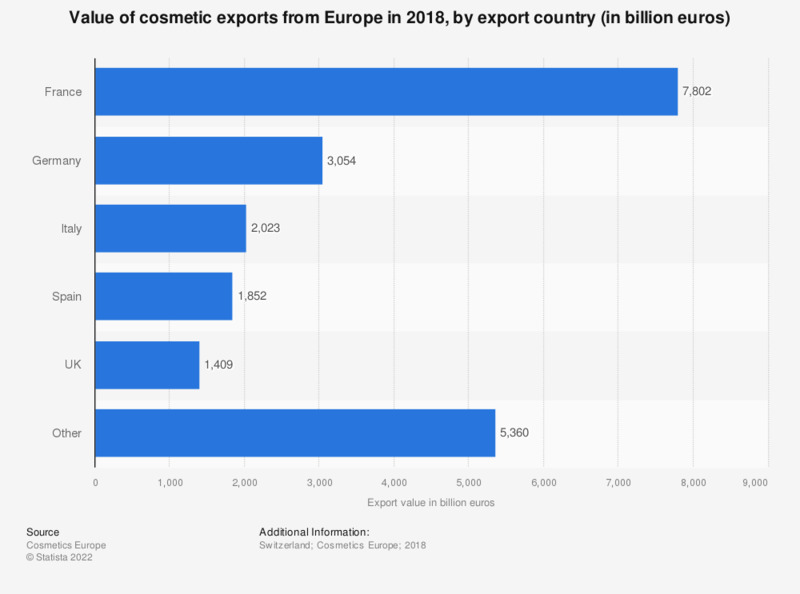 This statistic shows the export value of cosmetics and toiletries from countries within Europe to the global (extra EU-30) market in 2017, by exporting country. Within the European market, France exported the greatest value of cosmetics and toiletries globally in 2017, reaching a value of 7.2 billion euros. Data refers to exports to the global market (extra-EU 30). Value based on retail selling price. Exports include decorative cosmetics, hair care, fragrances, skin care and personal care. Everything On "Cosmetics market in Europe" in One Document: Edited and Divided into Handy Chapters. Including Detailed References.